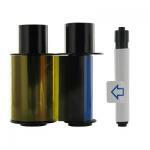 Do you need a color ribbon for your Fargo Card Printer? We carry a huge in-stock inventory of Fargo Color Ribbons for all Fargo models. 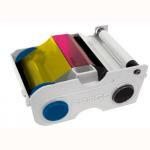 Choose Fargo YMCKO ribbons to print your cards in full color on one side or both sides of your cards. For Dual Sided Card Printers, YMCKOK ribbons are perfect to print vivid colors on one side and sharp monochrome text and graphics on the back. Every Fargo Color Ribbon will produce vivid colors to ensure High-Quality ID Cards and Badges time after time.